An ominous moon shines over this newest release from a master of noir fiction. Yurika - unattached to anyone or anything- poses as a prostitute to acquire and sell compromising pictures of prominent men in Tokyo. When she runs afoul of two shadowy organizations buying her photos, she enters into a deadly dance with each in order to save her own life. Readers are drawn into desperate terrain from the very first page. As with his other award-winning novels, Nakamura presents compelling characters that endure in defiance of their essential bleak existence. Yurika is a freelancer in the Tokyo underworld. She poses as a prostitute, carefully targeting potential johns, selecting powerful and high-profile men. When she is alone with them, she drugs them and takes incriminating photos to sell for blackmail purposes. She knows very little about the organization she’s working for, and is perfectly satisfied with the arrangement, as long as it means she doesn’t have to reveal anything about her identity, either. She operates alone and lives a private, solitary life, doing her best to lock away painful memories. But when a figure from Yurika’s past resurfaces, she realizes there is someone out there who knows all her secrets: her losses, her motivations, her every move. There are whispers of a crime lord named Kizaki—“a monster,” she is told—and Yurika finds herself trapped in a game of cat and mouse. Is she wily enough to escape one of the most sadistic men in Tokyo? Fuminori Nakamura has won numerous prizes for his writing, including the Ōe Prize, Japan’s largest literary award; the David L. Goodis Award for Noir Fiction; and the prestigious Akutagawa Prize. The Thief, his first novel to be translated into English, was a finalist for the Los Angeles Times Book Prize. His other works include Evil and the Mask, The Gun, The Boy in the Earth, and Last Winter, We Parted. "Few protagonists in modern crime fiction are as alienated as those in the challenging, violent, grotesque tales of Japanese author Fuminori Nakamura . . . Yurika’s struggle to escape her vexed fate elevates this shocker well above the lurid." "Multilayered and intense . . . [The] monstrous crime lord ‘Kizaki’ is a formidable nemesis." 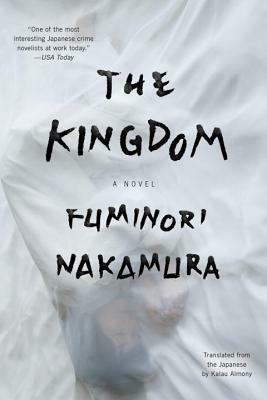 "The Kingdom offers another sample of Japanese author Fuminori Nakamura's heady blend of disaffected philosophy and noir suspense." "Dark and strangely seductive... A recommended read for fans of noir as well as for anyone looking to be mesmerized by a masterful storyteller." "A face-paced, dark novel of psychological suspense, told in a succinctly poetic style." "[Yurika] makes an ideal guide into Nakamura’s nightmare kingdom, one node in a nihilistic entanglement of lives forged outside of conventional legal and moral frameworks." "With a complex yet sympathetic antiheroine who must outwit the most cunning and twisted minds, ­Nakamura’s dark crime novel sets the bar for gritty, twisted plots that keep readers constantly guessing." "On a par with Jo Nesbo or Don Winslow." "Suspense writing at its tautest and most philosophical." "Unsettling, The Kingdom offers both psychological suspense on the most intimate personal level as well as some sinister geo-political (un-)doings in the background . . . A quick, dark read, in which the reader is—like Yurika—constantly kept off balance." "A classic in the making... Just make sure there's room in your schedule for recovery from this highly purposeful journey into darkness." "If I had to name just one author who is absolutely iconic in the field of border- and boundary-crushing noir, it would be Fuminori Nakamura."